We're having a special two-part Software Club on August 23. 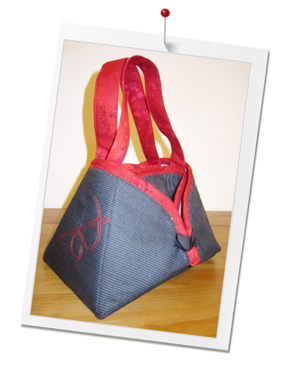 First, we'll watch the lesson on how to embellish this cute mini-iron tote with quilting in the hoop. Learn different methods for creating quilting designs. The tote opens up and turns into a small ironing pad. Perfect for taking to class or retreats.